OptimumCare Home Care Services, LLC. 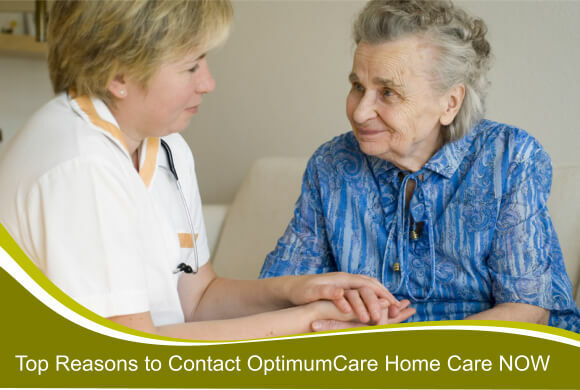 At OptimumCare Home Care Services, we firmly believe that services should not only be provided because it is paid for by the clients, services should be given in good and exceptional quality because it is the right of every individual. Place your trust in our hands and we assure to provide you with only our best, nothing less. At OptimumCare Home Care Services, we value the importance of family because we too, are a family-owned business. In our hands, you will never feel left out because we treat every client as our own. We understand that not all clients are equal – each having their own differences, preferences and individuality, and we respect that. That is why at OptimumCare Home Care Services, our certified nursing assistants, health aids, and everyone else in the staff, are all trained to attend to the clients coming from diverse backgrounds. Such honor brings great pride to us and we hope to extend our services to you so that you too can experience a “BBB Accredited” performance. Non-medical home care in Greensboro Drive McLean VA visit us for more details.